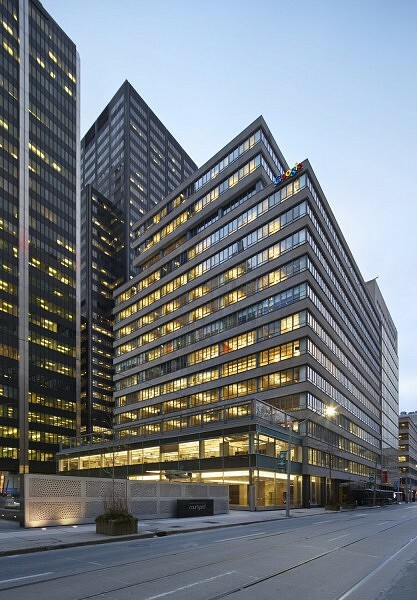 This 15-storey building, designed by now legendary Peter Dickinson and Morden Yolles, is one of only a few intact examples of high-quality 1950s office design in downtown Toronto. 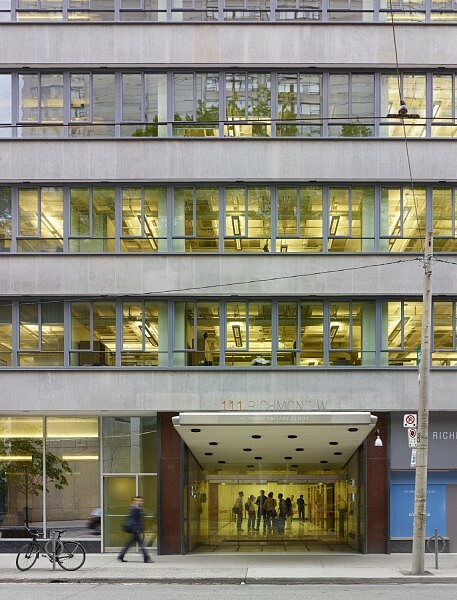 ERA worked with WZMH Architects to rejuvenate and restore a number of aspects of 111 Richmond St. West, making this an important early representation of post-war modernist restoration in Toronto. 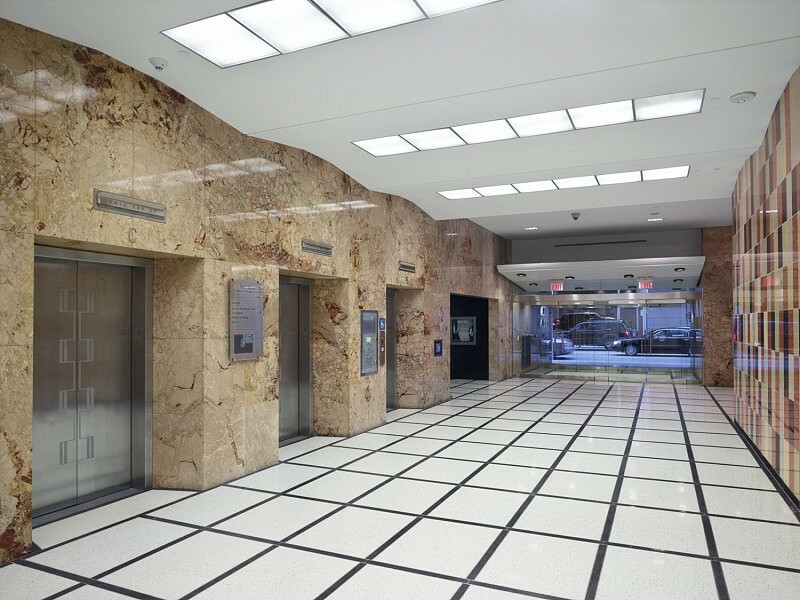 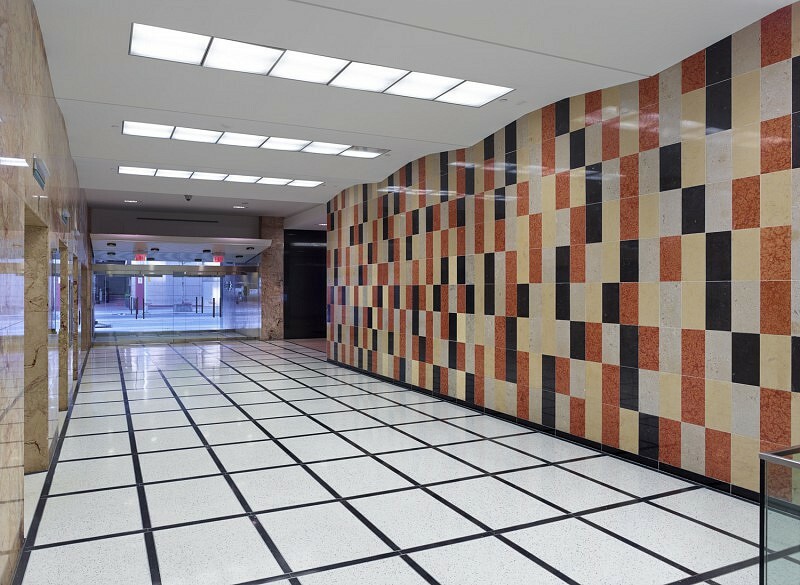 Among a number of pieces of work, the team was able to open up new visual access to the previously concealed, innovative waffle-slab construction, as well as to restore the building’s playfully designed lobby, with its terrazzo floors, scalloped ceiling, and multi-coloured marble panel walls.